(Jakarta, 13 June 2016) Next month will mark the first anniversary of an outbreak of communal violence in Tolikara, a remote district of the Papuan central highlands, that involved indigenous Christians, Muslim migrants and poorly trained security forces. As the Jokowi government attempts to formulate a strategy toward Papua, it could usefully study the Tolikara case – or even use it as a topic for dialogue with Papuan civil society -- because it reveals how many overlapping problems are involved in one incident. It also shows how leftover grievances from the 2015 outbreak are likely to add to the potential for violence as Tolikara gears up for local elections next year. 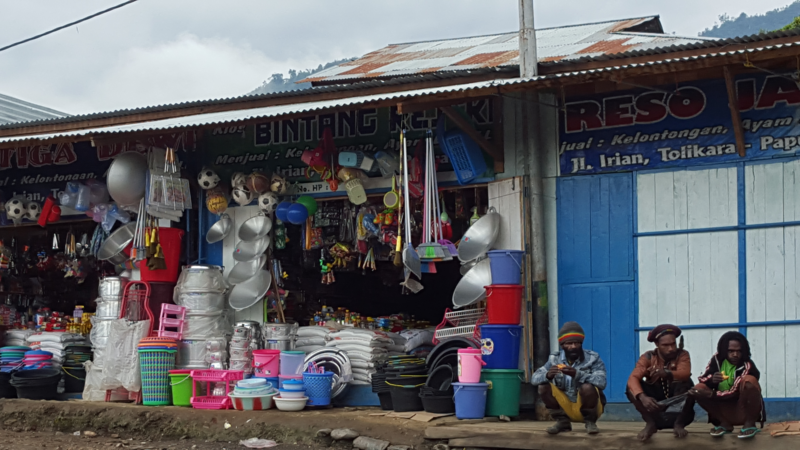 Rebuilding after Communal Violence: Lessons from Tolikara, Papua, the latest report from the Institute for Policy Analysis of Conflict (IPAC), provides a detailed analysis of the violence and the government response. The immediate cause of the outbreak was a decision of the locally dominant church, known as GIDI, to ban Muslim prayers celebrating the end of the fasting month on the grounds that they might disturb an international revival meeting that was taking place nearby. When prayers went ahead, GIDI youth threw rocks at the worshippers and police fired warning shots to stop them. Within a few hours, Papuans had torched some 60 mostly Muslim-owned shophouses, the local mosque had burned down, and unidentified gunmen had killed one Papuan teenager and injured eleven others. Two Papuans were arrested as provocateurs in a deeply flawed investigation, but neither the arsonists nor the shooters were ever identified. “It may be tempting to see the Tolikara violence as the inevitable result of indigenous Papuan resentment toward migrants, but that’s far too simplistic and lets too many people off the hook,” says Sidney Jones, IPAC director. The central government stepped in quickly to assist the displaced, only to face criticism from Papuan leaders for being quicker to aid migrants than to respond to violence against Papuans. Muslim leaders berated the government for failing uphold freedom of religion. A hastily arranged reconciliation meeting papered over grievances and left both sides unhappy. How can any reconciliation endure without being based on a thorough understanding of the facts and a commitment to justice? How can a special task force within the police be established to ensure more professional investigations in remote areas? How can the incentive structure within the police be changed to attract the brightest and most motivated young officers to places like Tolikara? What steps can the central government take to discourage local officials from endorsing activities that promote religious intolerance? How do elected Papuan officials solve the conundrum of wanting to reduce dependence on migrants while encouraging their influx through creating more districts and subdistricts? “The anniversary of the Tolikara incident should be a time for reflection on what might have been done differently and how future conflict can be avoided,” says Jones.